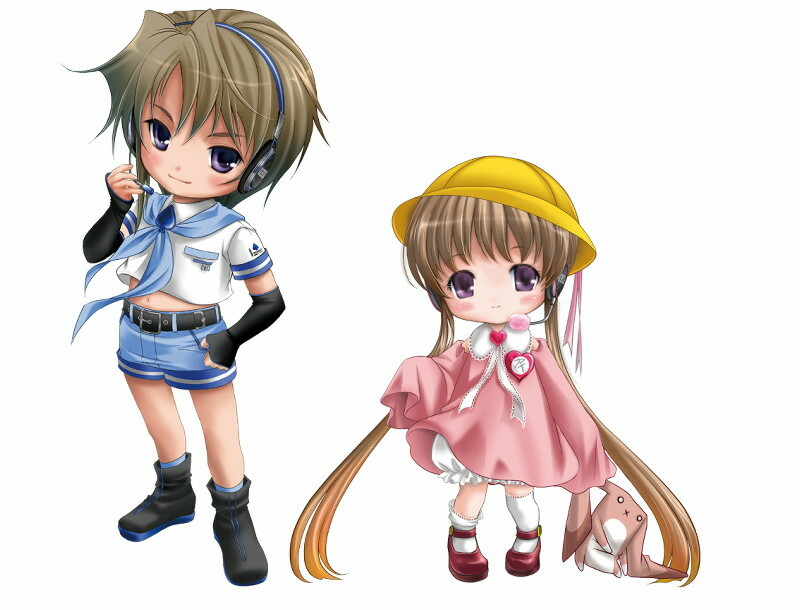 AHS, known for their CrazyTalk softwares to animate photo and illustrations like they're speaking, is to release speech synthesizer softwares "VOICEROID Tsukuyomi Shouta" and "VOICEROID Tsukuyomi Ai" on December 4, 2009. Shouta is a primary school boy and kindergartener Ai is his younger sister. 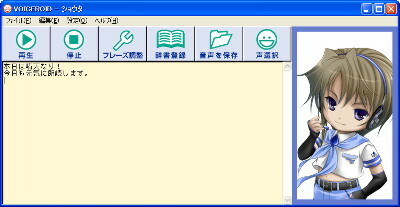 The softwares have simple and user-friendly interface; all you need to do is type in whatever text, press a button and the cute voices will read them out loud. It might be ideal for learing Japanese. So what do they sound like? We got a chance to try them, so here are some videos of Ai and Shouta speaking in their adorable childish voices. 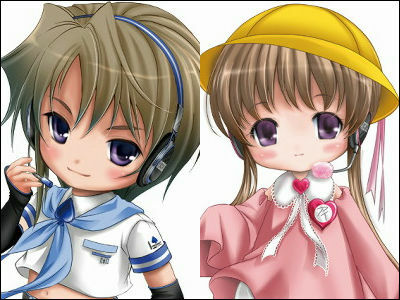 7-year-old Shouta(left) and 5-year-old Ai(rihgt). The two are siblings. The user interface is real simple. 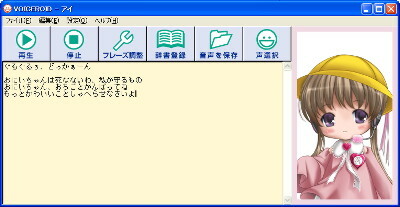 The buttons are "Play", "Stop", "Phrase Adjustment", "Add to Dictionary", "Save" and "Choose Voice". You can adjust the tempo, volume, pitch and intonation to make it sound natural or more emotional. This time we didn't do any of that, just typed the text and pressed "Play", but they managed to sound surprisingly natural. Admittedly they're a bit on the monotone side and intonation on some words are awkward but it fit the child speech, just like little kids trying to sound all grownup and serious which only make them sound cuter. So here are the videos. The images are animated by CrazyTalk 5. All VOICEROID products will be packaged with Crazy Talk SE which can do the same thing. We couldn't take out lines from anime or make them read novels for obvious reasons, so we used some famous 2channel-origin text which are public domain. Ai telling her teacher what she encountered in a park one day. 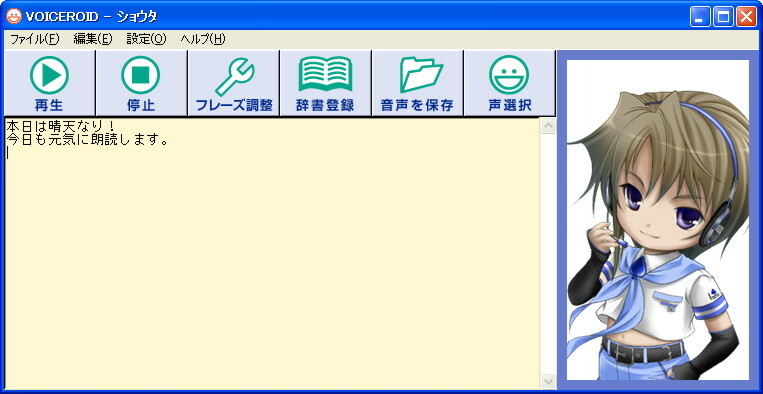 It's a famous funny story posted on 2channel starting with "Sensei anone...". The "Sensei anone" style journals are practiced in many kindergartens and primary schools in Japan as homework. They occasionally make a kid read it out loud in front of the class like show-and-tell in the morning. Here's the original Japanese text and translation. Today I played house with my friend Eriko-chan at the park. There was a man on the swing alone. Eriko-chan asked "Ojichan, don't you have work?" "Ojichan's resting now" he said and he looked lonly. Next we tried "VOICEROID Tsukuyomi Shouta". Obviously, the sailor-clad boy must be named after Shotaro Kaneda of Tetsujin 28-go who is the origin of the word Shotacon. Shouta, as a regular patron of Yoshinoya, complains about the customers attracted by special discount campaign. It's another 2channel-origin absurd anecdote, known as the "Yoshinoya Rant". You can see a Golgo 13-style Flash anime of the story here. Shouta playing make-believe that he's an important member of some global secret organisation, pretending to discuss international situation with other member on his cellphone. It's an example of embarrassing symptom of adolescence, reported on 2channel. You can see a manga of this anecdote here. "VOICEROID Tsukuyomi Shouta" and "VOICEROID Tsukuyomi Ai" will go on December 4, 2009 for 9,800 yen ($108) each. If you want them both, a set of the brother and sister "VOICEROID Tsukuyomi Shouta with his younger sister Ai" priced at 17,800 yen ($197) will also come out on the same day. All packages come with dress-up stickers as supplement. 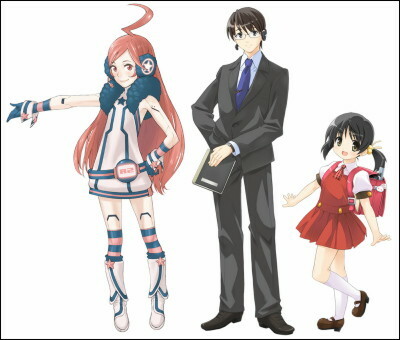 Three new Vocaloids by AHS will also be released on December 4. These are the characters. 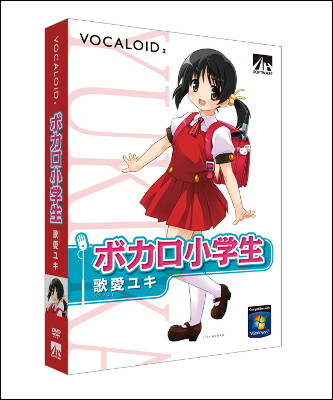 "VOCALOID2 Kaai Yuki" is a primary school girl, created by sampling the voice of an actual young child instead of an adult voice actress performing in childish voice. 15,750 yen (about $174). 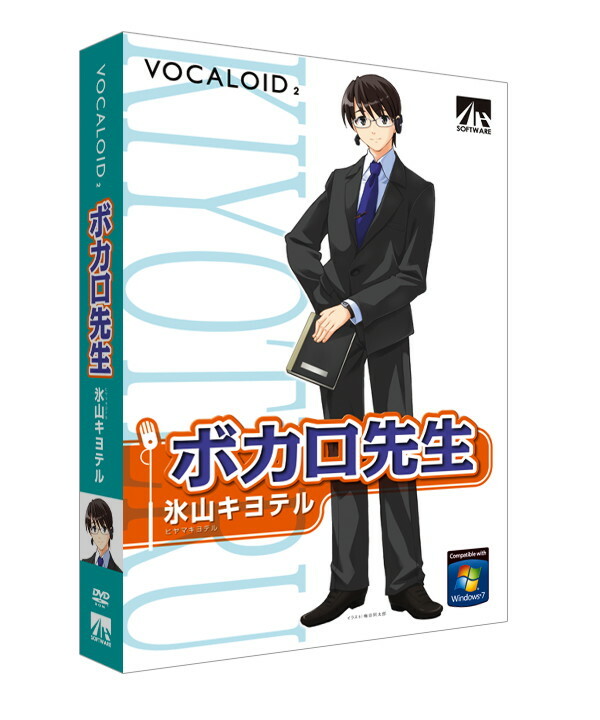 "VOCALOID2 Hiyama Kiyoteru" is a math teacher at Yuki's school. 15,750 yen. 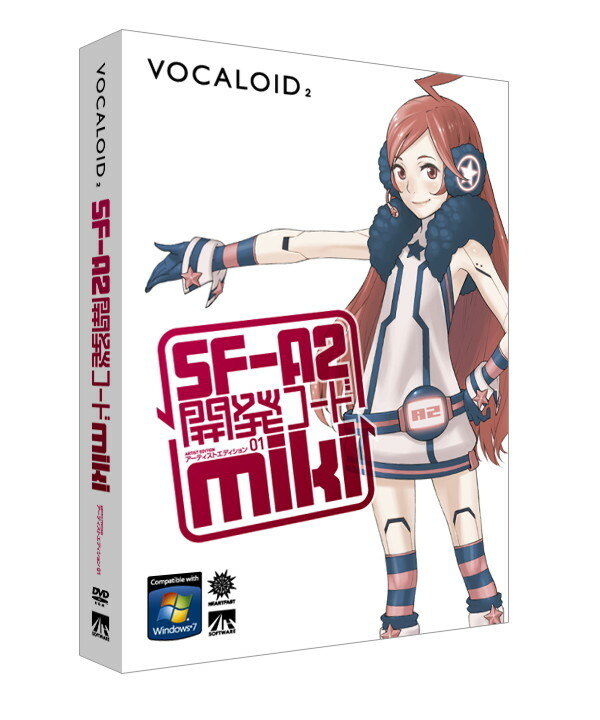 "VOCALOID2 SF-A2 Code Name miki" sampled the voice of Miki Furukawa, singer and former bassist of the band Supercar. It's the first in the new "Artist Edition" line sampling voices of famous singers. 15,750 yen.